Dr. Elvia Ramirez is Associate Professor of Ethnic Studies. She received her Ph.D. in Sociology from University of California, Riverside. Her dissertation research examined how social inequalities and public policies shape Chicana/o and Latina/o students’ access to and experiences in Ph.D. programs. She was awarded a dissertation fellowship by the University of California All Campus Consortium on Research for Diversity (UC ACCORD) and a faculty fellowship by the American Association of Hispanics in Higher Education (AAHHE). Her research interests center on Chicanx/Latinx students in higher education, graduate education, social inequality, and immigration studies. She has published her research in various peer-reviewed journals, including Journal of Diversity in Higher Education, Equity & Excellence in Education, Sociological Perspectives, Journal of Hispanic Higher Education, Journal of Poverty, and Journal of Latinos and Education. Originally from Southern California, Dr. Ramirez is the first person in her family to go to college. Her family's roots are in Jalisco and Guanajuato, Mexico. Ramirez, E. (forthcoming). "Inequality in the graduate school admissions process: The Chicanx/Latinx experience." In J. Brooks, H. Sarabia, & A. Ida (Eds. ), Race and ethnicity: Moving from the sociological imagination to sociological mindfulness. Cognella Publishers. Ramirez, E. (2018). "Navigating positive and hostile department climates: Experiences of Latino/a doctoral students." In A. Standlee (Ed. ), On the borders of the academy: Challenges and strategies for first generation graduate students and faculty. Syracuse University Graduate Press. Ramirez, E. (2017). Unequal socialization: Interrogating the Chicano/Latino(a) doctoral education experience. Journal of Diversity in Higher Education, 10(1), 25-38. Ramirez, E. & Mirandé, A. (2015). Autoethnography/insider testimonios, common sense racism, and the politics of cross-gender mentoring. In Caroline S. V. Turner & Juan Carlos Gonzalez (Eds. ), Modeling mentoring across race/ethnicity and gender: Practices to cultivate the next generation of diverse faculty. Sterling, VA: Stylus Publishers. Ramirez, E. (2014). "Que estoy haciendo aqui? (What am I doing here? )": Chicanos/Latinos(as) navigating challenges and inequalities during their first year of graduate school. Equity & Excellence in Education, 47(2), 167-186. Reese, E., Ramirez, E., & Estrada-Correa, V. (2013). The politics of welfare inclusion: Explaining state variation in legal immigrants' welfare rights. Sociological Perspectives, 56(1), 97-130. Ramirez, E. (2013). Examining Latinos/as' graduate school choice process: An intersectionality perspective. Journal of Hispanic Higher Education, 12(1), 23-36. Ramirez, E. (2011). “No one taught me the steps’: Latinos’ experiences applying to graduate school. Journal of Latinos and Education, 10(3), 204-222. Barajas, M., & Ramirez, E. (2007). Beyond home/host dichotomies: A comparative examination of gender relations in a transnational Mexican community. Sociological Perspectives, 50(3), 367-392. Reese, E. & Ramirez, E. (2002). The new ethnic politics of welfare: Struggles over legal immigrants’ rights to welfare in California. Journal of Poverty, 8(3), 29-62. Faculty Scholarship (and Peer Review) Community (FSC) Award, "Grant Proposal Writing Group for the Social Sciences, Interdisciplinary Studies, and Education." 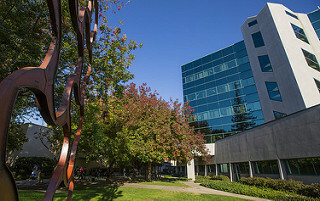 Office of Research, Innovation, and Economic Development, California State University, Sacramento, 2017-18. Provost's Research Incentive Fund Award. 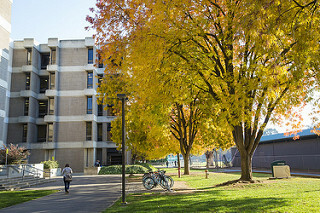 Office of Research Affairs, California State University, Sacramento, 2014. Probationary Faculty Development Grant, College of Social Sciences and Interdisciplinary Studies, Spring 2013. American Association of Hispanics in Higher Education (AAHHE) Faculty Fellowship, 2012. 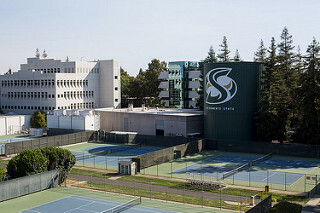 Summer Research Support Grant, College of Social Sciences and Interdisciplinary Studies, California State University, Sacramento, 2011. Institute for Social Research Faculty Research Fellowship. College of Social Sciences and Interdisciplinary Studies, 2009-10. University of California All Campus Consortium on Research for Diversity (UC ACCORD) Dissertation Fellowship, 2005-06. Graduate Dean's Dissertation Research Grant, Graduate Division, University of California, Riverside, 2005-06. Outstanding Teaching Assistant of the Year Award, Department of Sociology, University of California, Riverside, 2001-02. Ernesto Galarza Applied Research Center Grant, University of California, Riverside, 2001, 2003. 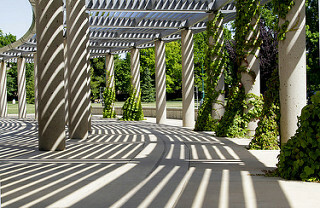 Eugene Cota-Robles Fellowship, University of California, Riverside, 1997-2001.